Discussion in 'OtherWoods' started by Remanan, Sep 5, 2016. Suriya is currently busy shooting for his cop film S3, which is expected to be wrapped up by October. There were many speculations about his next film doing rounds. 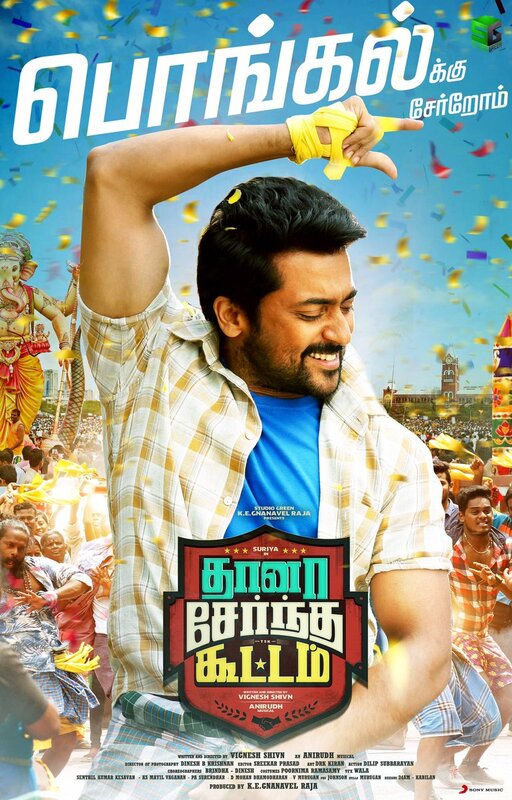 But, clearing all those speculations, Studio Green Films officially announced Suriya's 35th project with their tweet "Proudly announcing #Suriya35VigneshShivN @Suriya_offl @VigneshShivN @kegvraja @anirudhofficial @rajsekarpandian @StudioGreen2 @2D_ENTPVTLTD"
Directed by Vignesh Shivan, this project will have music by Anirudh. It is the first time Anirudh will be scoring music for a Suriya's film. More details regarding this project, including title and heroine, are to be followed. ATB, epo small directors aanallo projects ellam. There were several reports as to what project will Suriya will do next post Singham 3. Names of several directors were being heard but looks like young Tamil director Vignesh Shivan has got the lucky chance. Latest reports suggest that Suriya has okayed a script narrated by Vignesh. The talented director who made the recent hit film Naan Rowdy Dhaan with Vijay Sethupati and Nayanthara is quite excited to direct Suriya. Anirudh Ravi Chander has been roped to compose music for this film which will go on floors by the year end.